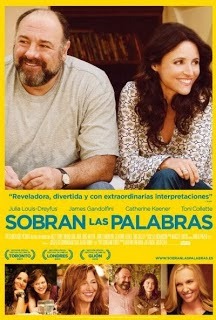 Reparto: Julia Louis-Dreyfus, Toni Collette, James Gandolfini, Lennie Loftin, Jessica St. Clair, Christopher Nicholas Smith, Tracey Fairaway, Ben Falcone, Michaela Watkins, Catherine Keener, Phillip Brock, Tavi Gevinson, Nick Williams, Ivy Strohmaier, Rick Irwin. Producción: Stefanie Azpiazu y Anthony Bregman. Diseño de producción: Keith P. Cunningham. Productoras: Fox Searchlight Pictures y Likely Story. Distribución en España: 20th Century Fox.